Mark Masselli is a community healthcare executive who runs the Community Health Center. Born in Middletown, Connecticut, Mark is married and has four children, and attended Xavier High School in Middletown. In 2009, he was awarded Doctorate of Humane Letters by Wesleyan University. Mark Masselli served as founding member of New Horizons Domestic Violence Services, Nehemiah Housing Corporation, and Oddfellows Playhouse Youth Theater. Masselli worked with His Holiness the Dalai Lama, traveling to Tibet, Nepal, India and China on issues facing the Tibetan people. Mark was active in the 1980’s on the development of the Bishop Tutu Refugee relief agency during the apartheid system in South Africa. He is board and executive committee member of Connecticut Health Information Technology Exchange Authority, and as representative of the business community, Mark is a Member of the Council on Medical Assistance Program Oversight. He chairs the boards of the National Institute for Medical Assistant Advancement and the Community eConsult Network. Masselli is currently Vice President and Board Member of the Goodspeed Opera House in East Haddam, Connecticut, but has also served as Treasurer. He was awarded Citizen of the Year of Middlesex County, Connecticut, in 2008. 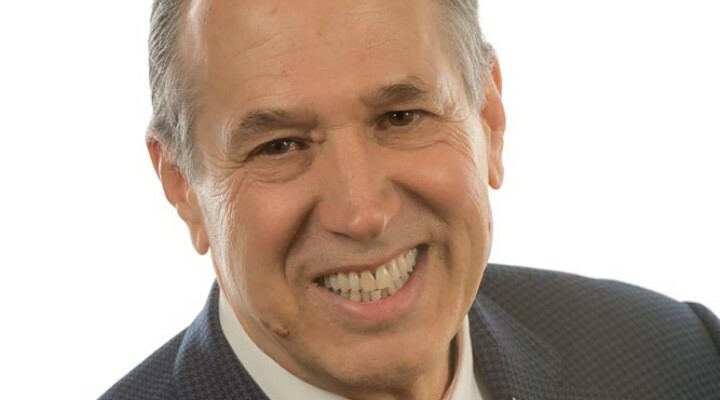 Mark Masselli is President, CEO and founder of Community Health Center based in Middletown, a network of 14 primary care facilities throughout Connecticut, covering low-income and uninsured patients from nearly all of the state’s 169 towns and cities. Co-founded by Mark in Middletown in 1972, the Community Health Center was chosen as one of six Federally Qualified Health Center participants from across the U.S. to take part in a $55 million study conducted by the National Institutes of Health, branded as the All of Us Precision Medicine Initiative. Our roots were founded in the national free clinic movement started by friends in Haight Ashbury in San Francisco. Inspiration can come from a political or social movement leader or religious figures, and those that come to mind are John F Kennedy and Martin Luther King and Mother Teresa. Some might look to motivational self-help books; my 15-year-old gets his inspiration from Chance the Rapper. Inspiration it isn’t always found in the traditional places, and it might well be from a family member, friend or foe, so I try to keep my mind. We were fortunate to have two community leaders among those local activists. Reba Moses, the daughter of a sharecropper who moved from Florence, South Carolina to Middletown in the early 1940s, and was a foot soldier in the war on poverty. Geri Weitzman, a pharmacist and the son of a pharmacist who owned Pelton’s drugstore on Main Street in Middletown was the other. They became our founding board members. Without their shoulders to stand down we would not be able to see above the grass. I started Community Health Center to focus on one of the problems with the American health system–that it’s never understood the abilities of poor people, people of color, women, and immigrants how did we as a society. We can’t build a world-class health system when we shun more than half of our country from helping. In its design, and you can’t design a system when you don’t respect the population you’re serving. So one of our core value was to bring a holistic, interdisciplinary thought process into our organization. Health isn’t just about the body; it’s also about the community we live in. From our earliest days, we were offered dental, behavioral health and medical services. But also art, music, finance, technology, and genetics are all part of our system of healthcare today. This commitment of building systems of care that are within reach of those economically challenged as a bedrock principle. Embedded in that value is a commitment to develop models of care that evaluate cost and efficacy. We must bring more discipline into the design of new interventions we need innovations that tackle both health outcomes and affordability. We didn’t have any grant dollars to start off or traditional support, and the entire local medical community had written the state asking how non-health care people could be running in a free clinic. Be we chose to start a renovated a new space on Main Street in Middletown, Connecticut, with volunteer support. Much of the initial days were “bootstrapped”, but because we were mindful of costs, we were profitable within the first year. Within months of opening, we were shut down by the State Department of Health at the behest of local doctors. After we opened, we had a knock on the door from the State Health Department who asked to see our license. It turned we had the application and all the criteria, but those inspectors kept coming back and finally, they said, “I’m sorry to tell you, but your hallways leading up to the Community Health Center or one inch too narrow.” We had a cease and desist order issued. There were a couple of options: we could slice the building in half, or we could go out of business. After days of panic, we ourselves up, quickly renovated a new space on Main Street in the North End Middletown with volunteer support. If anyone has ever been to one of our 206-plus locations in Connecticut and wonder why we have such wide hallways now you know! We started out as a free clinic on a second floor walk-up just off Main Street on Middletown. You could have been in San Francisco–there was tie-dye hangings; on the wall beaded curtains separated the room. Word of mouth spread quickly in those days, and our first patients were from a few blocks away, in then-impoverished areas. As we spread across the state, the question of access developed more nuance. For us, it wasn’t just about solving the logistic problem of getting someone to a practitioner. It was also about the quality they receive once they got there, and that’s one of the core values to to drive for excellence, curiosity, and transformation of primary care systems. So, as we continued to examine our own work, we created the Weitzman Institute named for one of our founders. It is an embedded research center focused in on implementation and improvement science in transforming primary care, and this, not really a “marketing strategy” really gave credence to our goals, and resulted in many more patients. Where to expand to. Community Health Center recently opened a facility in Stamford, Connecticut, but there were so many other towns and neighborhoods that were in the running and that need to be served. From our founding in 1972, we were a mission-based organization. We were always asking and debating among ourselves what are our values were, and what should be the values that would be fundamental to a fair and just health system. For us, one foundation was consumer/patient control. Since our inception, our board has been made up of over half who are active patients and this value has been fundamental to who we are and to our success story. Building a world-class primary health care system of 14 primary care facilities throughout Connecticut, covering low-income and uninsured patients from nearly all of the state’s 169 towns and cities, committed to serving special populations focused in and improving patient outcomes and cultivating healthy communities. Most recently, we formed the National Institute for Medical Assistant Advancement. During their seven months, students are embedded in primary care facilities and have synchronous online training so they’re all together at one time and then they have clinic rotations. What’s unique to National Institute of Medical Assistant Advancement training is that we focus in on both the traditional elements of training and we have added a focus on the model of care reflective of patient centered-medical care model, with specific classes on care coordination panel management and team-based care. First, Break All the Rules: What the World’s Greatest Managers Do Differently, by Marcus Buckingham, Curt Coffman. Medicaid Politics and Policy, by Judith D. Moore and David G. Smith, a definitive history of the regulatory history of Medicaid. Switch: How to Change Things When Change Is Hard, by Chip Health and Dan Heath, review how to change things we change is hard. Community Health Center has acquired a primary-care health clinic on in Hartford from Connecticut Children’s Medical Center and will run the clinic in partnership with the hospital.